As the time gets near for departure you think of all the thousand and one things that still have to be done. Normally when you set out on a cruise it is with a yacht that has already been fitted out and has everything on board required for comfortable cruising. With a brand new yacht that is still undergoing sea trials you start from scratch and there is a lot more to do. However we are nearly there now and I am excited to get to know Magellano. 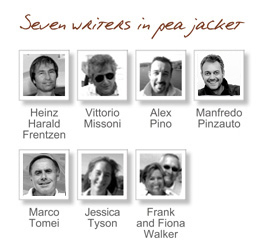 We did trials with the yacht last week from Viareggio and I was very impressed. 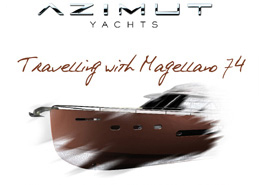 When you have a long experience with boats you get a feel for a boat as soon as you step on board and with Magellano it was very positive. She felt good and whilst there were no waves to test the yacht she felt very good and I came away with a very positive feel. She is so different from the average planning yacht and maybe I am getting old but I quite like the idea of travelling a round the Mediterranean at 10 knots. Only another day before I get on the aeroplane and we head out from Viareggio to our first stop at the Azimut base at Varazze. There we spend a day entertaining clients and it will be interesting to see their reaction to this new concept. I have to say that I am sold on the idea of long range cruising, it is great antidote to all the high performance craft that have been part of my life for the past 40 years.